Since 1994, Harvard Computing has made a point of making repeatable Best Practices a foundation of all consulting and product activities. Our belief is that if a process or procedure is based on the best way to do the work, then that should be the benchmark for all activities. HCG consultants have built many Best Practice templates and training programs, which our clients use extensively as either reference points for their own requirements, or to use as a baseline to implement change in the organization. The Emergency Procedures Process Map was created to show how an organization might go about handling various emergency situations that occur. See our recent DelphiTV broadcast for FREE. The process map is meant to serve a basic guide for handling emergency scenarios. The maps include; F ire Incident, Bomb Incident, Civil Disturbance, Water Related Incident, Power Outage, Medical Incident, Severe Windstorm – Hurricane Incident and Snow Storm. Click for more details. These best practices illustrate clearly how to communicate, manage and improve processes in your organization. This “instant plan” provides all the guidelines, tasks and resources to get your processes under control quickly and easily. The ITIL Best Practice Suite includes training on the Best Practice Maps for your entire team. Register for a FREE 40 minute seminar on how to speed up your ITIL implentation. PRINCE2 has long been a standard for Best Practices in Project Management; the 2009 edition of PRINCE2 is even simpler and more logical, with integrated planning and project direction in the framework. 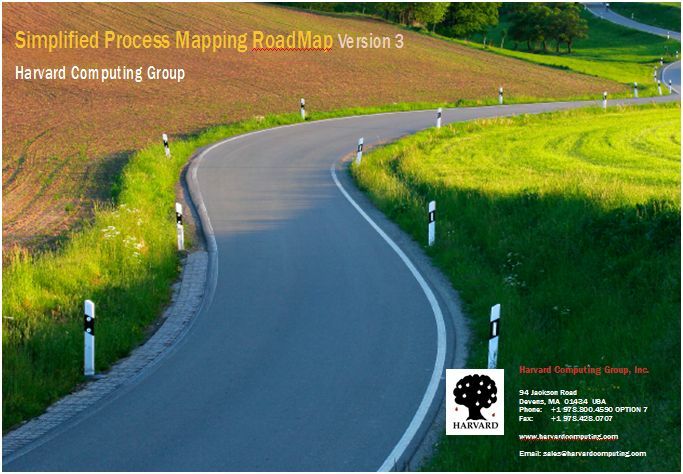 Harvard Computing Group’s PRINCE2 TaskMaps provide an outstanding visual representation of these important best practices. The Enhanced Telecom Operations Map is an ongoing initiative developed by the TM Forum to deliver a business process framework for the telecommunications industry. HCG is offering several important segments of eTOM in TaskMap format as a framework for a paperless BPM project. Sometimes the best practices aren’t easy to find. HCG consultants can help you develop best practices in your industry segment though research and interviews with the best of breed in your industry or segment. Contact us for more details.